Last week, MSJDNers from both coasts and many points in between met in sunny San Diego for another great Making the Right Moves conference. We spent two days breathing in some much-needed inspiration (and ocean breezes) and stepped away from the daily grind to recharge and reconnect—with ourselves and this amazing network. Friday’s program focused professional development with great speakers and gave members free one-on-one career sessions with Jessica Hernandez of JLH Coaching, targeted resume review with Jeff Chinn and Isabel Eustaquio from Thomas Jefferson School of Law’s Career Services, and professional headshots by Nick Stone, a local milspouse. A happy hour Friday evening and Saturday’s social networking breakfast and shopping stroll were also wonderful opportunities to build and strengthen long-distance friendships. We were welcomed to the San Diego County Bar Association offices by California Lawyers Association Heather Rosing, who shared her experiences with the SDCBA’s Servicemembers Civil Relief Act pro bono program. 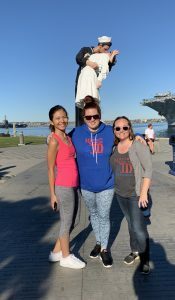 She reminded us of the power of volunteerism and gave local members some wonderful ideas on how to help California servicemembers while expanding their own skill sets. Next, Katy Goshtasbi of Puris Consulting explained the importance of syncing your personal brand with your professional brand. Burnout results when your job is not aligned with your values. Developing a personal brand will reduce stress, identify your own natural talent, and allow you to shine and better promote yourself! 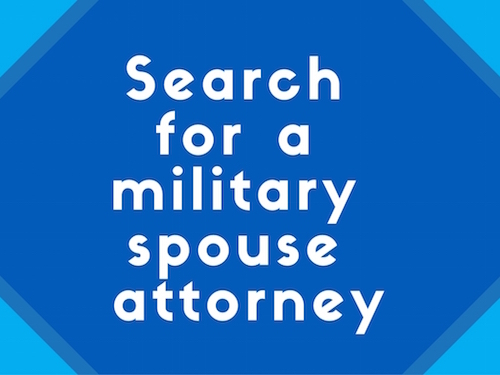 The day’s CLE was presented by Lt. Kristin Highsmith of the Navy’s Region Legal Services Office Southwest and focused on military legal assistance and the hot topics we all get questions about from other military families, including dissolutions, estate planning, and powers of attorney. 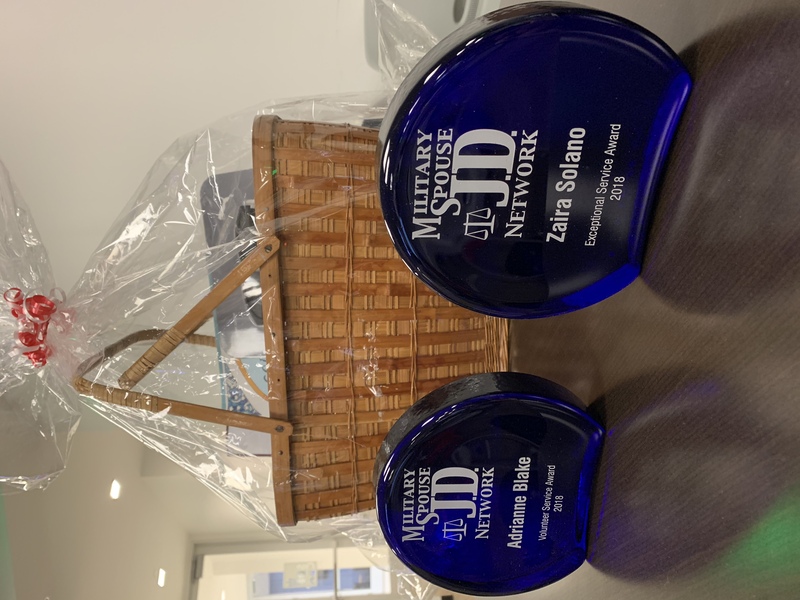 After CLE, we enjoyed lunch and the presentation of the 2018 Exceptional Service and Volunteer Service awards to Zaira Solano and Adrianne Blake. We also left with concrete approaches to salary and raise negotiations from Pamela Vallero of Gruenberg Law. Pamela reminded us to exercise our power—we’ve already beat out other candidates to get this job, and when it comes time to renegotiate we will be armed with a brag sheet of quantifiable accomplishments. We shouldn’t be distracted or boxed in by questions about previous salary or cost of living; salary should be based on the level of skill, responsibility, and effort required by the position. And don’t forget that base pay is just part of the package! Ask about bar dues, CLE and conference fees, flex accounts, retirement contributions, and a membership to that more convenient gym. The first panel of the day featured MSJDNers working remotely (or in positions with remote possibilities), and the energetic dialogue between speakers and the audience shed light on the myriad forms remote work can take. There is no one remote working model and we have a lot of power to advocate for remote work that meets our own needs and provides huge benefits to employers. Stephanie Halford moderated the panel and discussed how she seamlessly coordinates the work of her team at Littler Mendelson. Sarah Kuehnel described her path from on-location to telework that will soon bring her shareholder status at Ogletree Deakins. Claire Tracy brought a unique voice to the panel as a USAA attorney with the opportunity to work remotely but who has chosen to stay put through her husband’s PCSes. Kelly Wilson explained her day-to-day “scrappy” existence and the pluses and minuses of taking on contract work and representing clients through My Virtual Lawyer. 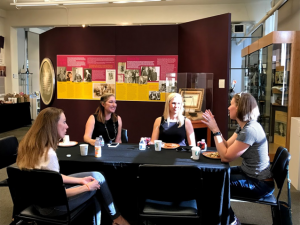 Jennifer Vercellone told us about the positives of her position with Prudential Financial, which has been remote from day one, while also honestly sharing the things that can be a struggle in a remote working environment. 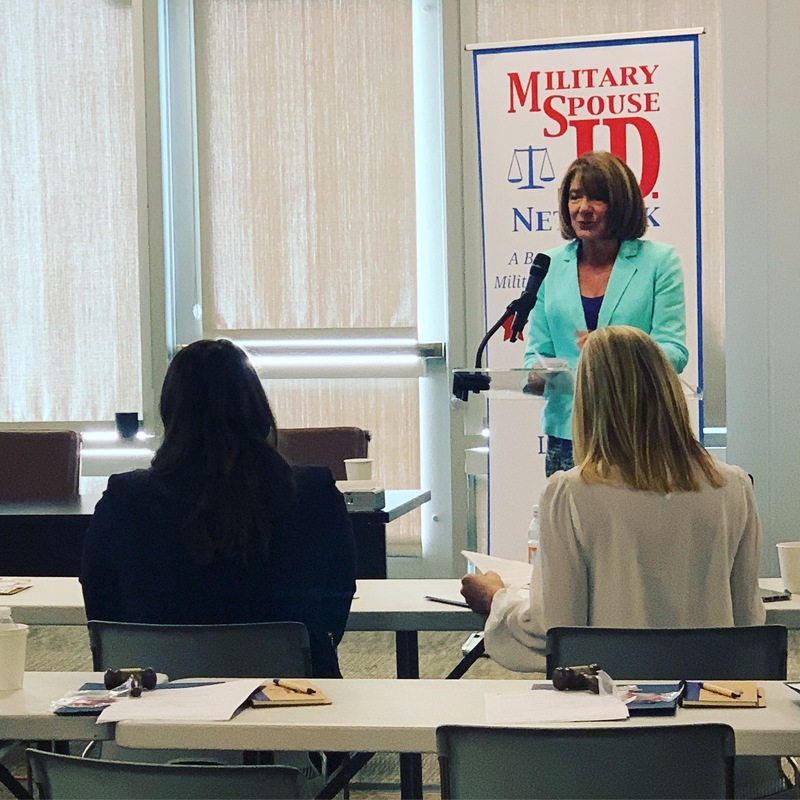 In the afternoon, Congresswoman (and Air Force spouse) Susan Davis shared her milspouse story and her inspiring path to public service. 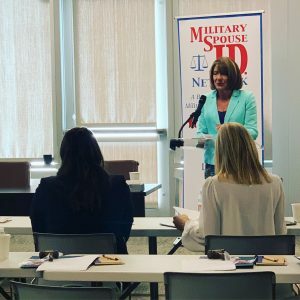 An accomplished panel of leaders followed, tying in MSJDN’s Homefront Rising initiative –military spouses and veterans shouldn’t just call representatives to demand change, we can run for office and be the change! Matt Brower spoke of his campaign for Superior Court Judge (you may have seen his JAG TO JUDGE signs in San Diego) and the value of his experience as an Iraq and Afghan War veteran and current Marine Reservist. Meg O’Grady, Vice President with Purdue Global University, described the “job hopping” stigma she overcame to rise through the ranks—turns out, that crowded resume is actually the transcript of her very own executive development program. Rory Brosius told us of her White House experience and beyond. 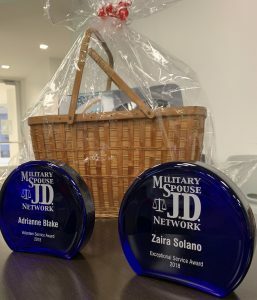 From social work to political staffer, she shed light on another important and influential path we can explore as military spouses. Many thanks to our sponsors for supporting Making the Right Moves 2018 – silver sponsors Ogletree Deakins and USAA and bronze sponsor WWC. We are also grateful to SDCBA for hosting us in their fantastic conference center. If you missed the conference, be sure to check out some of the shared resources in MSJDN’s online resource library. 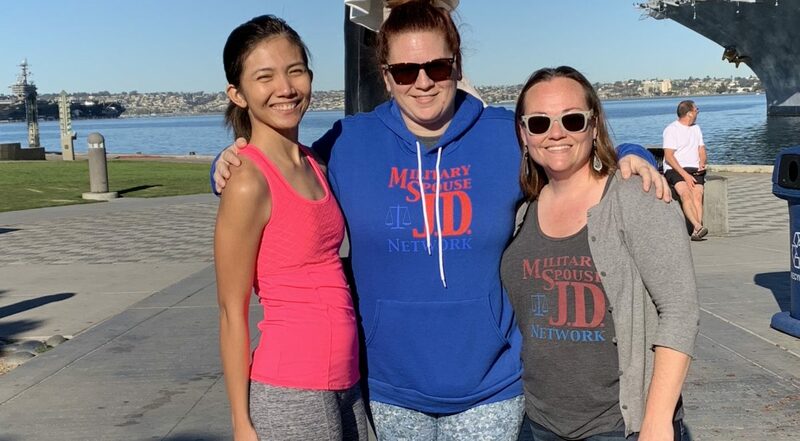 You can find other upcoming MSJDN events on the calendar. And start planning to join us next year for #MRM2019!